Get inspired when you sew and embroider on the Pfaff Creative Icon. 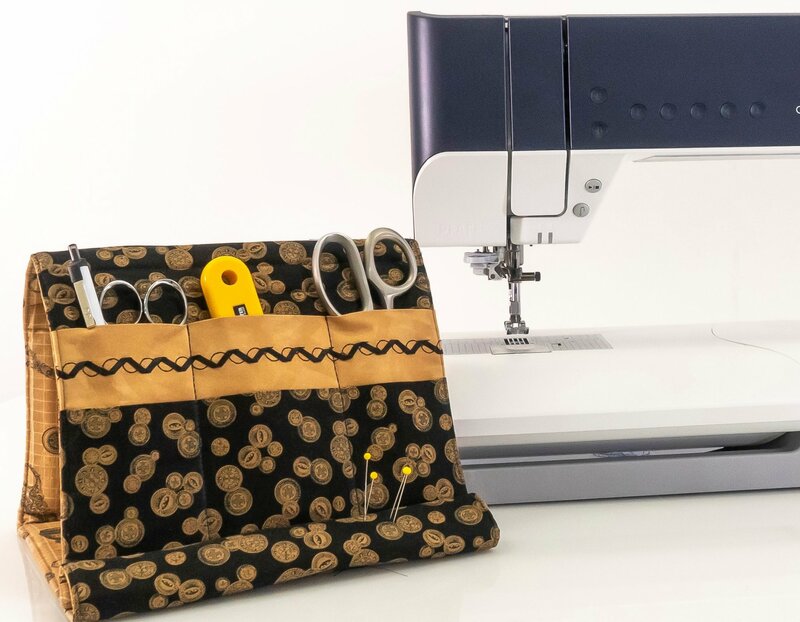 The Creative Icon has unparalleled power, seamless connectivity, 800+ embroidery designs, maximum workspace, and much more. Learn new tricks, tips and techniques with National Pfaff Educator, Carrie Philpott. Experience exclusive stitch and embroidery techniques as you create a project during this event. This is the perfect event for anyone who wants to experience the power of this Pfaff sewing and embroidery machine! Machines will be provided. Project kit included. Lunch is included. Seating is limited to 12 attendees, 2 students per machine. Pfaff Creative Icon sewing and embroidery machines with project kits. Carrie Philpott, National Pfaff Educator simply loves to sew! She started designing and making her entire wardrobe at 14 years old. From 1998-2004, Carrie owned and managed Main Street Sewing and Vacuum in Vancouver, WA. This expanded her love of sewing in the Embroidery, Digitizing, Crafting, Heirloom and Quilting arenas. She has received certification and training from Sue Hausman, Martha Pullen, Alex Anderson, and Connie Crawford. An event led by Carrie will infuse you with inspiration and motivation to expand your sewing, quilting, and embroidery love and skills. Project kit and lunch included in this event.